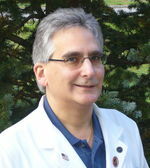 "Dr. Ira Stein is friendly, professional, and knowledgeable in successfully treating foot injuries. When I injured one of my feet, I felt reassured that I was in good hands when Dr. Stein examined my injury and advised me regarding how to achieve a complete recovery." "Dr. Stein always makes my pain go away. I have been a patient for many years and have always had the best care. The office staff is competent and polite." "I have been going to Dr. Ira Stein for years and there is nobody better. He is an extroadinary Podiatrist and really cares about his patiets. His assistant Grace is a wonderful woman and really on the ball. I couldn't believe how great their office looked. It was very obvious that they took pride in the office's appearance. It was one of the best looking offices I've ever seen. As soon as I walked through the door, I was immediately greeted by the friendly staff. They went out of their way to make me feel special and appreciated. The waiting area here is extremely spacious. There is never overcrowding and everything is spaced appropriately. Everyone in my community knows that they are the absolute best in the field. If you need a Foot Doctor don't even look anywhere else this is the doctor for you.....Thank you Dr. Stein for years of taking care of my needs."